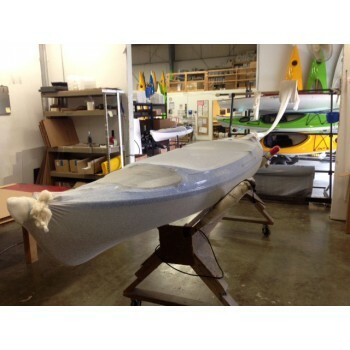 Our Poly/Cotton Blended Kayak and Canoe Covers offer superior strength, soft hand, and protective durability to prevent damage to the finish of your watercraft during storage or transit. Hauling canoes all over the country I found this to be an excellent way to keep the materials canoes and kayaks are packaged in tacked. Lot's of people think the cling wrap and packing tape is good enough. As a hauler I'm responsible for the mess that blows off my truck and trailer. I put this over the package and I'm golden!